To kick off 2019, Drop4Drop are undertaking new clean water projects in #Zanzibar! Zanzibar, most commonly known as the ‘spice islands’ is located about 30km off the coast of Tanzania in the Indian Ocean. It was incorporated into the United Republic of Tanzania in 1964 and currently contains an estimated population of around 1.3 million people. As a result of their fast-growing population, climate change, environmental degradation and poor infrastructure, water scarcity is an important issue that is already a major public health concern. Similarly to its bordering countries (Uganda to the north and Malawi to its south), they suffer from the spread of water-related diseases such as Cholera and general diarrheal diseases. 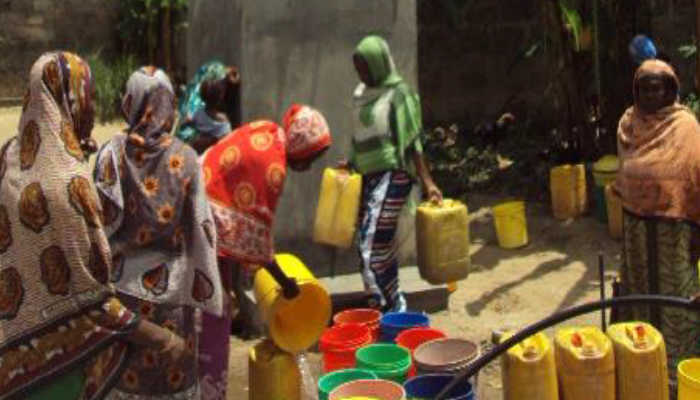 These persistent issues illustrate the desperate need for external support from NGO’s and other unions to alleviate the water crisis in Zanzibar. In Zanzibar, climate change is seen not only as an environmental issue but also an economic one. Economies such as Zanzibar do not have resources like other western countries to fight the effects of climate change. Rising sea levels and soaring temperatures have depreciated income levels in fishing and agriculture including primarily women’s reliance on seaweed fishing in shallow waters on the coast. Women that had previously been financially independent in the 1990s and earnt themselves the considerable status as ‘breadwinners’, are now, in a lot of cases, struggling due to ‘die-offs’ and any income associated with it. Struggling families living below the poverty line are worse off economically and women’s status in society is depreciated, allowing for continued gender inequality to exist. In addition to the detrimental economic consequences of climate change, basic needs such as clean water become less accessible due to leaking pipes and annual droughts in springtime. The poor building of water infrastructure and maintenance thereafter have left communities in rural areas forced to travel up to 7 hours a day in some instances to collect drinking water that is often contaminated and unsafe. According to the Zanzibar Water Authority (ZAWA), the country needs 20 million litres of fresh water but currently, only 50% of that amount is being shared amongst all 1.3 million inhabitants. Drop4Drop have recently begun projects to tackle the poor water infrastructure and water scarcity in three communities in the densely populated area of Unguja, Zanzibar. The relevant support would include building materials, technical support and labour to provide sustainable community wells. This would be conducted alongside carrying out health and sanitation workshops to provide education on water-related disease and how best to prevent becoming infected. These wells would not only reduce the 2-7 hours spent a day collecting water but also allow children opportunities for education and no longer impede the adult’s working life. These ongoing projects across all three communities will benefit a total of 4,900 people and 806 households. Completing projects and additional work throughout Africa and India provides less fortunate individuals and communities with the support they need to escape poverty and improve the standard of living for themselves and their families. Clean water projects such as these not only ensure the basic need is met but can also impact individuals additionally in a variety of ways. For more information on what we do and for updates on our projects, head over to our Instagram, Twitter and Facebook: @drop4drop.